During an emergency locksmith situation, people tend to lose focus and end up making bad decisions. For instance, one of my customers broke the ignition lock with hummer and a screwdriver when he lost his car keys. The common situation most locksmiths face is arriving at a party where their competitors are already there and another one is on the way. If you lock yourself out, calling every locksmith in town really will not help. In the locksmith book of etiquette, that is the most insulting and rude thing that one can do to a professional. To lock yourself out is of course, a serious business. Try not to panic and call every locksmith in the book. LockTech24/7 is open 24 hour round the clock. For instance, when you need 24/7 lock out service in Allentown PA, we’re here to help. People lock themselves out of their cars, homes, and businesses at all times. They can also get locked out of bedroom. It doesn’t matter whether it is the day or night. What is the best way to handle emergency locksmith situations? What is the charge for the service? When you call a Call Center (not recommended), ask what is the estimated time of arrival of the technician, and if he will call you when he is on the way. Is there are any extra or hidden fee? If you find all your questions answered and the information is clear, you can feel safe to wait for the technician to arrive. One part of good customer service is good communication, and to keep the customer updated. 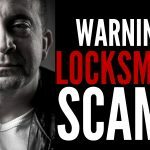 If you have any doubt about that company you called, simply cancel the service and call another locksmith. 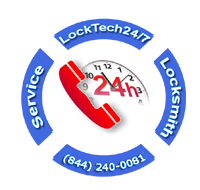 When you’re thinking abouy Emergency Locksmith, you’re thinking about LockTech24/7. With us, emergency locksmith service can be easy, you don’t need to call another locksmith. We stand for our name! We provide 24/7 emergency lock out services, whether you are locked out, or the lock on your door broke during operation. LockTech24/7 is licensed, bonded, and insured. Please enter our Emergency Locksmith Page to find how we can help.